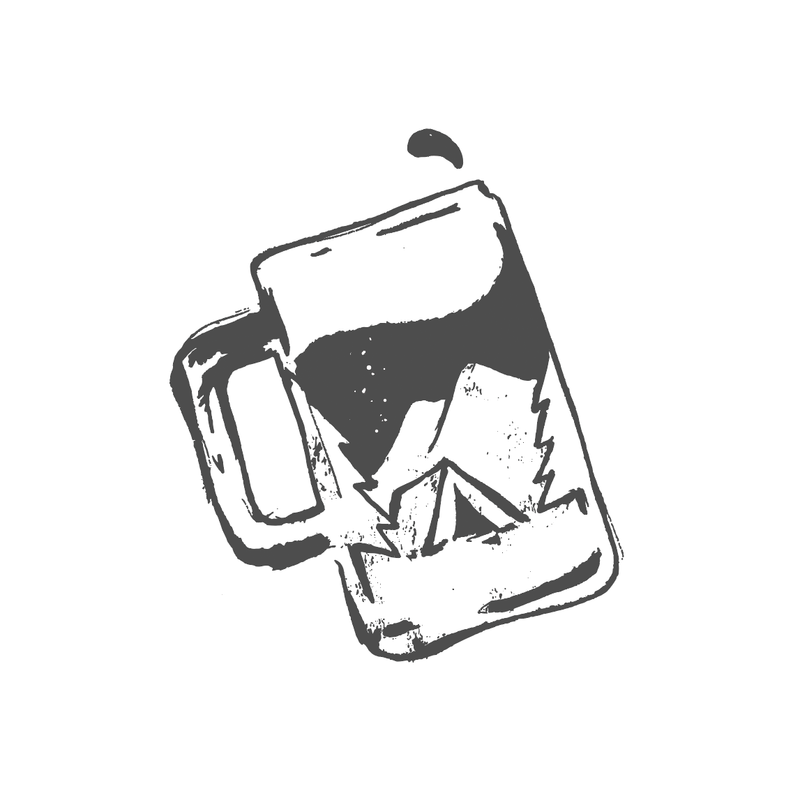 It’s no secret that the staff here at Trampoline enjoy a good drink or two. So much so that we’ve dedicated a significant chunk of our working lives to them. Visit the office and you’ll find a well stocked fridge, bar, kegerator, and coffee pot. Catch our team on the weekend enjoying a variety of alcohol related pastimes, from brewing beer (Staci is our fearless leader in this regard) to jamming out at a local watering hole. It’s safe to say we take our fluids very seriously. For most of us, the competition for our beverage of the summer was stiff, no pun intended. 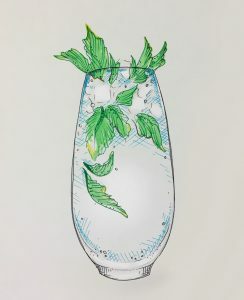 The following list is a collection of drinks, artwork, and thoughts on what it means to be refreshed in the summer months. 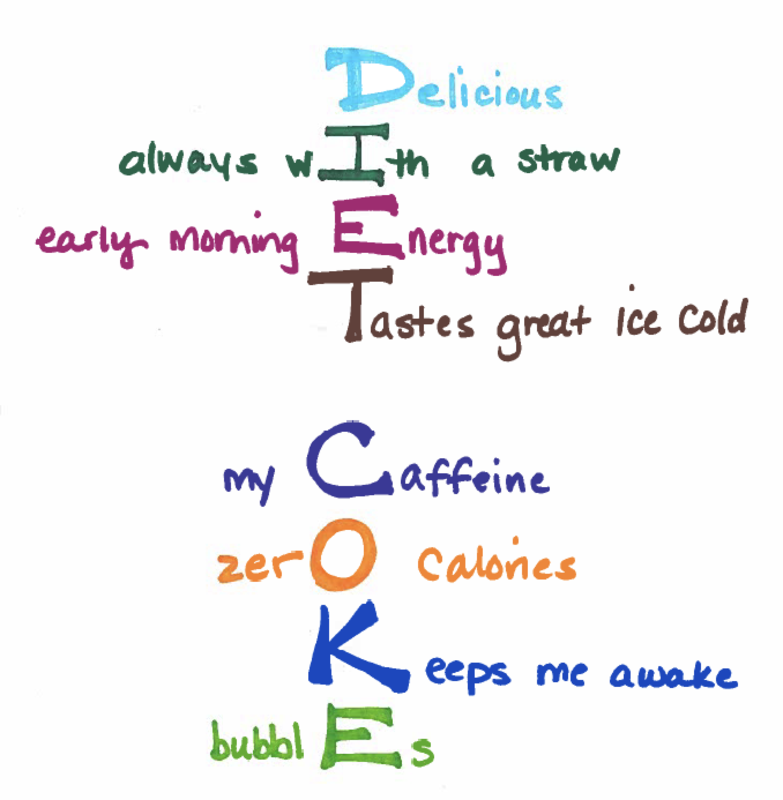 Pour yourself a beverage of your choice (we don’t judge! ), sit back, and pick our brains. 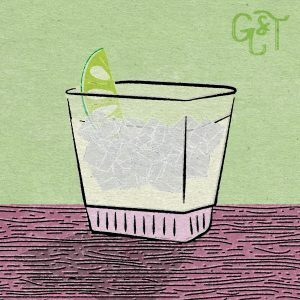 My favorite summer drink is kind of a cheat answer because it involves two of my all time favorite drinks: gin and champagne. Mix those two with some lemon juice and simple syrup and you get my favorite cocktail: the French 75. It’s fizzy and botanical and just plain delightful. Drink it pinky up! Call me old fashioned, but I’m a fan of an ice-cold beer – preferably a strong IPA — after a long work week. It helps when your client, Druthers, serves up one of your favorites — the All-In IPA. A close second to IPAs are wheat ales like UFO, Hoegaarden or Allagash White. Unlike some craft beer connoisseurs, I won’t turn my nose up at a Bud Light or a cold PBR on a hot day! Hoo-ray Beer! 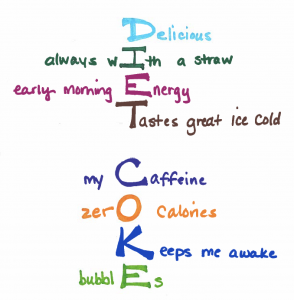 My favorite drink is always my first drink. Which, in the summer, means at dawn. Yes, I’m deviating from the largely alcoholic list, but the truth is that coffee will never let me down-iced or hot, espresso or straight joe. The sensation of that first sip, no, even before that, the anticipation of the first sip, feeling the mug in my hands, smelling the sharp aroma and feeling the warmth from the pot, it is exquisite. 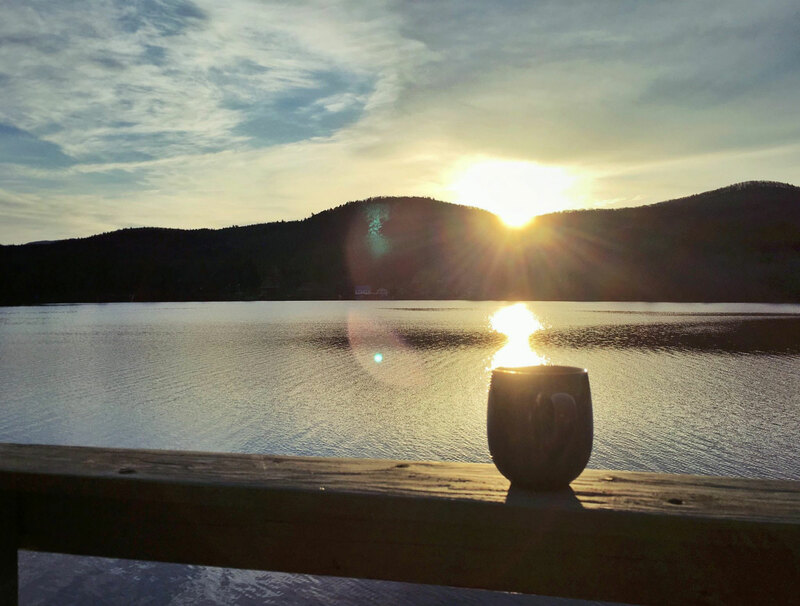 The perfect cup has cream, not creamer, thick, white, and ideally poured from a glass vessel. Not much sugar, but enough to stir a couple of times with a small spoon, the clinking of metal on ceramic priming me for the sensation of that first sip. 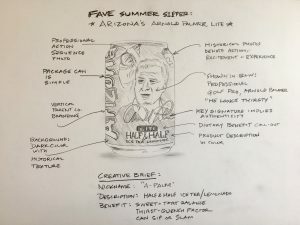 My fave summer sipper/slammer is also non-alcholic (surprise), as seen in a creative brief. My favorite summer beverage is refreshing and crisp with New York State apples and a hint of sweet: Peach! and more Peach! 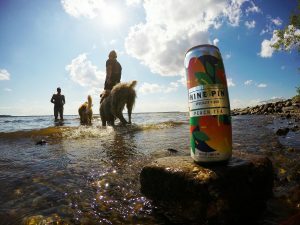 This cider pairs great with lakefront and adventure, two pups in the water and humans tagging along with their thirst-quenchers. Cheers to never-ending summers and Nine Pin Specialty Peach Tea Ciders! In a home with three pre-teens…you drink what’s available. 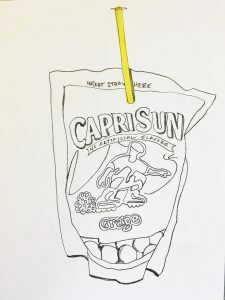 I could fill a steamer trunk with Capri Sun™ straw wrappers. The Uinta Detour double IPA packs a delicious punch, and sends me deep into aromatic memories of a Rocky Mountain Pine Forest on a warm summers day. Both me and Uinta were made in Salt Lake City, Utah, and appreciate the allure of a refreshing brew paired with a big mountain view. The Detour is my go-to companion for any summer adventure. Paula: You get the gist. 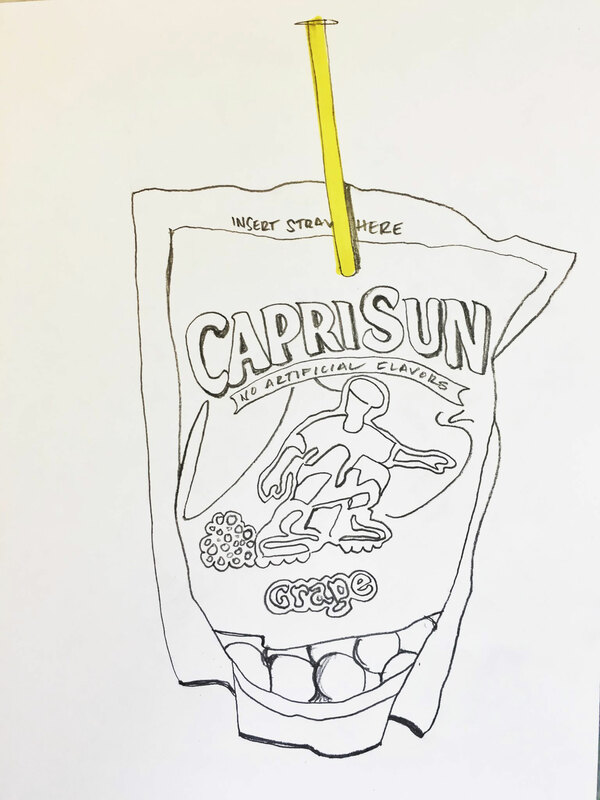 When our Communications and Media Specialist Megan asked what my favorite beverage is, it took me about three days to really wrap my mind around it. You see, I take my beer very seriously. My husband and I are homebrewers, plus I’m 4 months pregnant, so I wax nostalgic about the memory of it quite frequently. 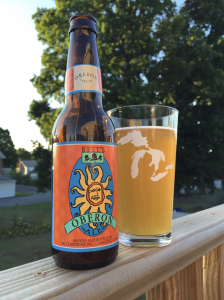 Bell’s Oberon is my favorite Summer beer. It’s an American Pale Wheat Ale: a limited release with a smooth, citrus taste and fruity aroma. It has a brightly-colored, funky sun label design that draws me in, too. Brewed in the great mitten state, it takes me back to my Michigan roots. It wasn’t always readily available here in New York, so when I discovered that they started distributing here, I was excited. Oberon is a great beer for a backyard barbecue, a camping trip, or a nice dinner out with friends. Now, if only Bell’s would release a clone recipe so I could brew some myself, I’d be thrilled. I’ve been trying for a long time to be a beer person. As a brand spankin’ new college graduate, I have a special place in my heart/liver for $2 Busch Lattes and Natty Light pints (Busch Light and Natural Light respectively, for those with anything resembling self-respect). 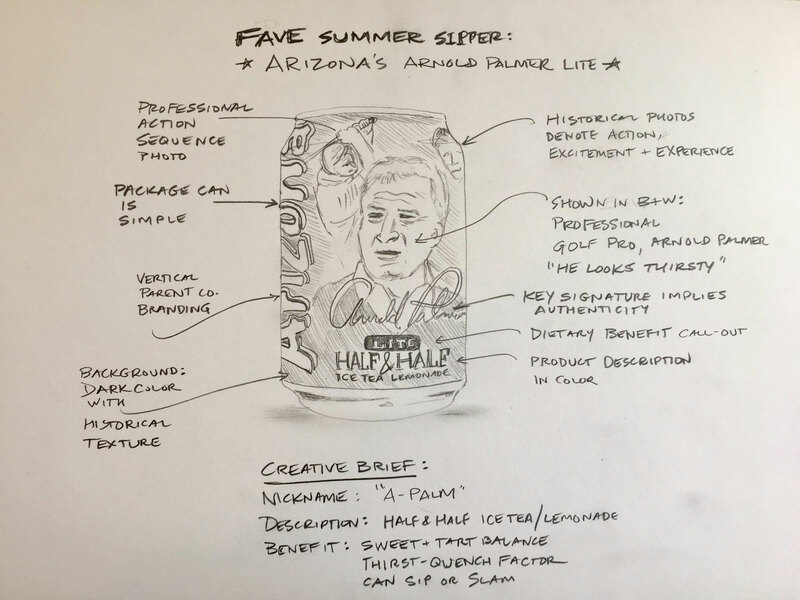 Craft beer is a staple in the office, with packaging (and samples!) coming in and out faster than you can pay your bar tab. But honestly? If I’m ordering myself a drink in the summer, expect it to be mixed. It’s summer, it’s warm, it’s the only time of the year that it’s acceptable to sit outside under an umbrella with a nacho in one hand and something cold and fruity in the other. Does this make me less “chill”? More high maintenance? Do I care? Ask me again after a few refills.